Born in Zurich in 1969, REDL developed a passion for drawing from an early age on. When the hip-hop culture and particularly graffiti grew in Europe during the early eighties, he was immediately fascinated by this new form of creative expression and sprayed his first painting in 1983. 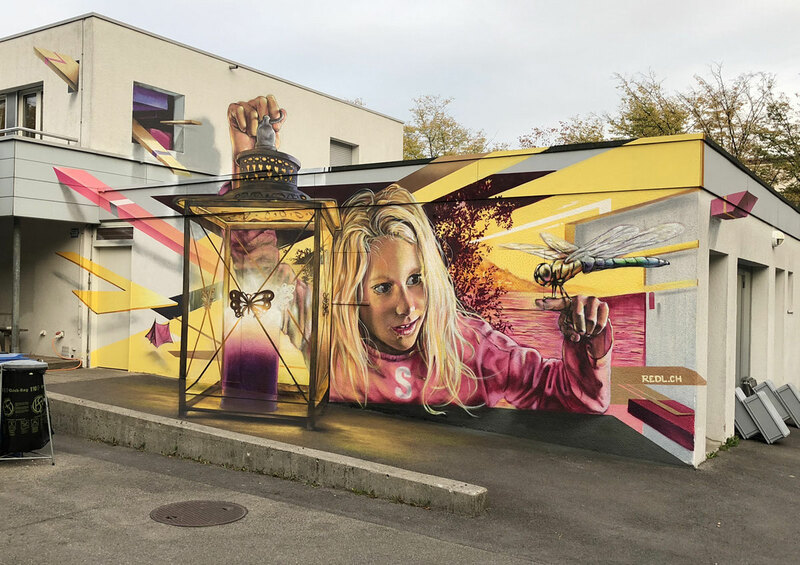 Parallel to his preparatory course at the Zurich School of Arts and his vocational training as a photo retoucher and illustrator, REDL further developed his graffiti skills. The young artist was fascinated so much that he dedicated himself completely to this exiting mix of art and movement. In consequence, REDL became one of the main exponents of the Swiss graffiti and street art scene in the 1990s. By traveling the world (Paris, Amsterdam to New York and Quito) he expanded his artistic horizon and met some of the most famous street artists, which had a significant influence on his work. 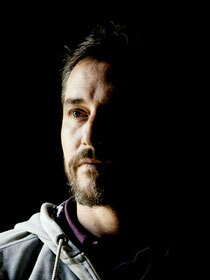 In 1993, he founded artworks.ch and since then has worked as a freelance artist, graphic designer and illustrator. In the past 20 years he completed projects at home and abroad for numerous companies, public institutions and private clients. His work ranges from mural art in Egypt, Belgium, Italy and Switzerland to logo design for the Zurich biotech company Molecular Partners. Other customers include Swiss Olympic, Openair Frauenfeld, Adidas, Street Parade, the City of Zurich, Migros and many more. Between 1998 and 2003, REDL regularly exhibited his works in Zurich. As of 2004, he focused on his professional independence as a graphic designer and illustrator and only created canvas paintings on request. 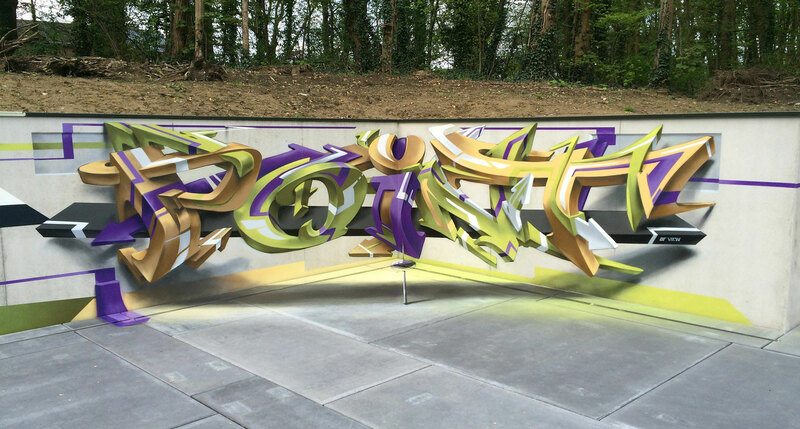 Today, REDL is an established graphic designer, 3D and graffiti artist with a broad base of customers. Since 2012, his works can again be found more frequently on facades and in galleries. 2011 REDL-Auktion „20 years“ Solo-exhibition at Exil Klub, Zurich.